You can go to this bar if you happen to be near Walplein. Belgian dishes are to be tasted here. 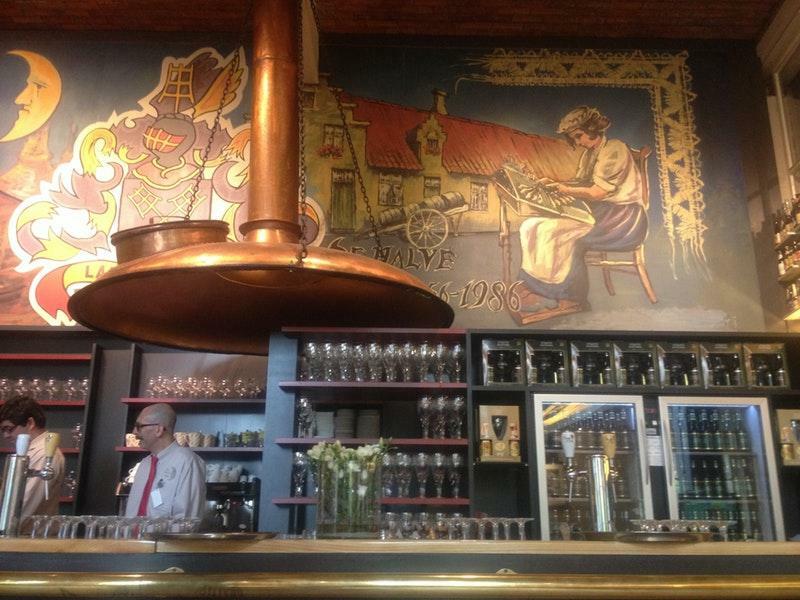 Brouwerij De Halve Maan (Half Moon Brewery) offers you to try mouthwatering beef stew, beef and prawns. Nothing can be better than eating good halva, friands and waffles. 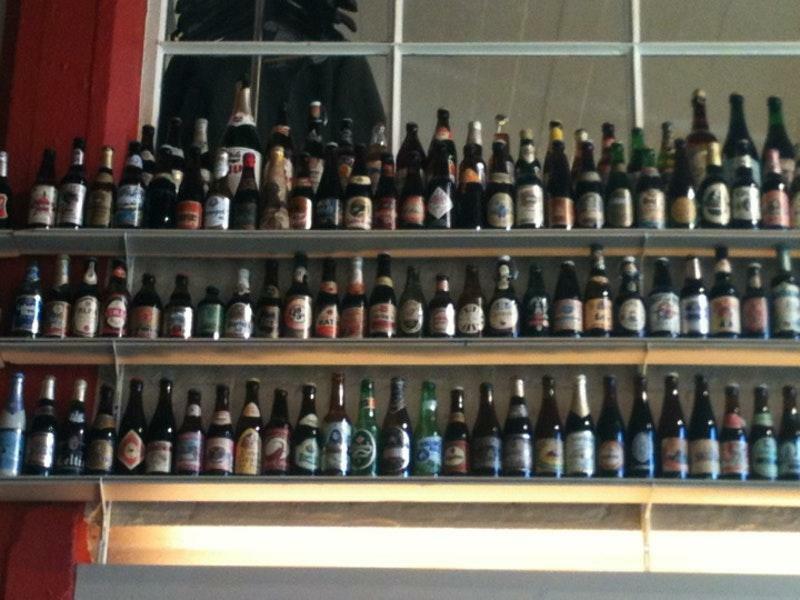 This place offers you delicious belgian beer, pale ale or dark lager. Based on the visitors' opinions, americano is good. Choose between indoor and outdoor seating. The energetic crew at this spot can demonstrate how much they value their customers. The fast service is something these restaurateurs care about. You will appreciate attractive prices. The fancy fireplace and pleasant ambiance let guests feel relaxed here. According to the Frommer's rating system, the rating of this bar is 1 star, so it's worth visiting. Big, bright, open brewpub layout. Lots of seating space and tables so finding a spot even on a Friday/Saturday night was not an issue. The beer highlights here are the Trippel and the Quadrupel. At 9% and 11%, they pack a punch! So be careful because the beer is super tasty and goes down smooth. 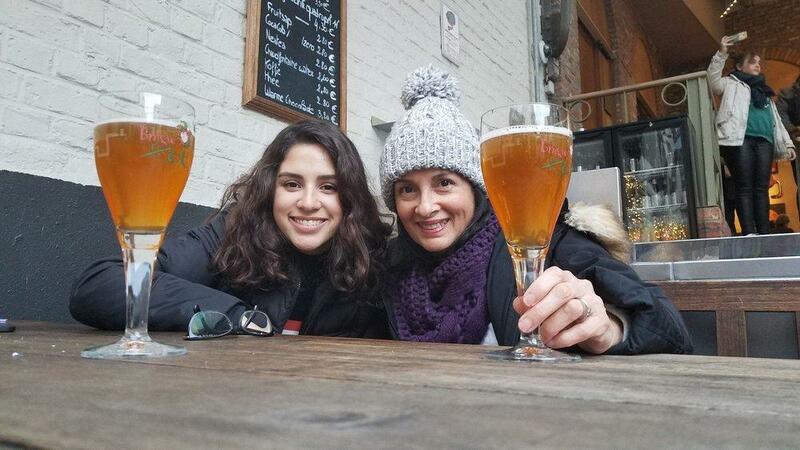 I did the brewery tour, which is 12 euros and includes a blanche beer at the taproom after the 45 minute tour is over. 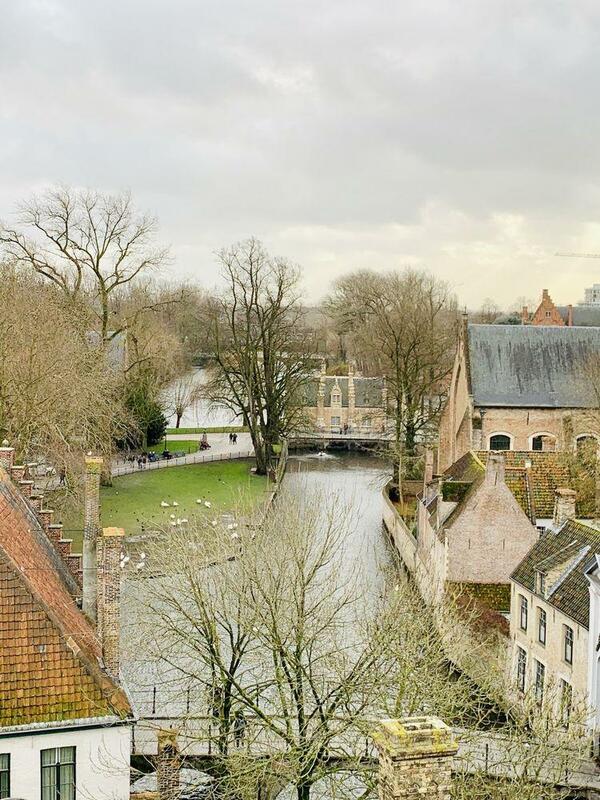 The highlight of the tour is going on the roof of the brewery - the view you get of the whole city of Bruges is exceptional from that vantage point. It was an overall good experience and I would recommend. Try the straffe hendik quadruppel oaked aged.